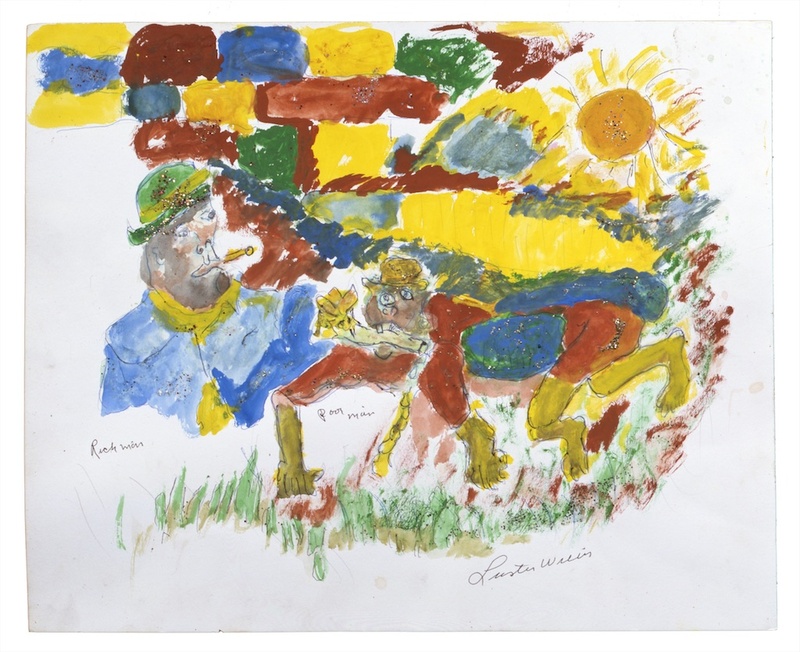 Many African American artists have similar memories of school days in the rural South. Luster Willis recalled attending the Egypt Hill Elementary School near Crystal Springs, Mississippi. "The teacher would be talking and I'd be drawing. I mainly liked to draw flowers and outdoor things, and pictures of the other children. Teacher would catch me and fuss. . . . There was a lot of stuff that I wanted to learn in school but what they was teaching wasn't it." He quit school after the eighth grade. Later, he entered the military, traveling through France and Austria, where he saw "high" art for the first time. 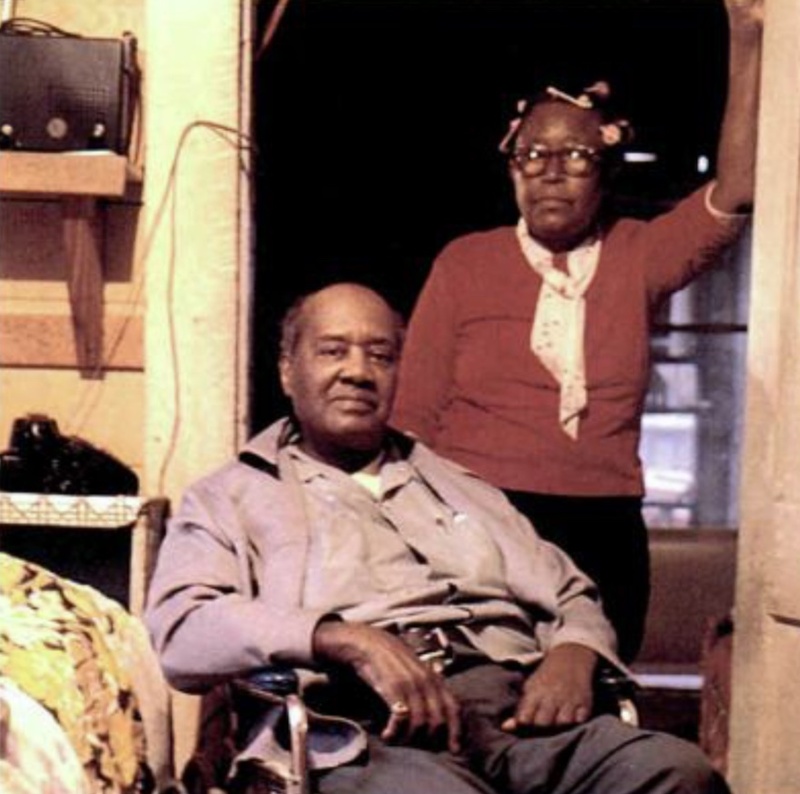 He returned home after three years abroad, became a barber for a while, and started a new life near Terry, Mississippi, with a wife and foster daughter. He continued making art, using whatever material was available to him, as long as it was free. 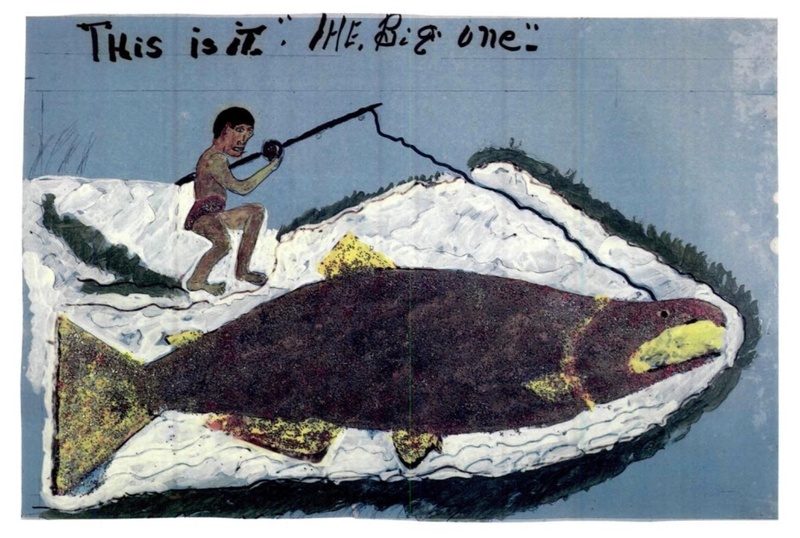 He painted on fabric scraps, old pieces of embroidery, plywood, cardboard, and school tablets, and he made collages ("set-ins") from his own drawings. He once identified all the types of pigments he had employed, "watercolors, cheap little paints from the hardware store and the drugstore, some oil paint people give me that I didn't like using, fingerpaint, shoe polish I used to use, and I reckon anything I could get my hands on." Many of Willis's first ideas for art came from visual media sources—commercial art that he found in print, newspaper comic strips, television, and billboards, and mass-produced reproductions of paintings. The act of mimicking the original allowed him to express differences from the views provided by the mass media. 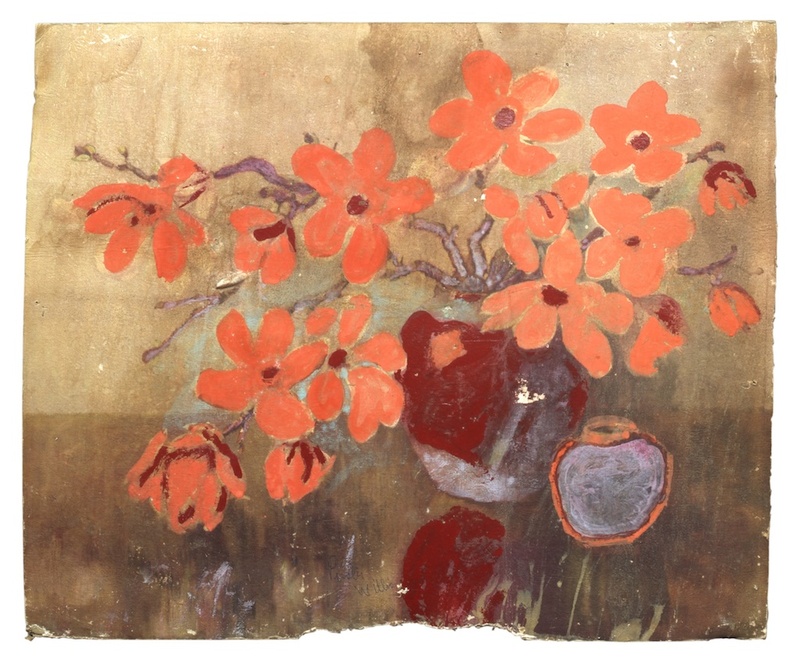 His earliest extant painting is such an act of transformation, in which the orange flowers cancel out the past life of the manufactured image, and at the same time assert the importance of the artist's touch. 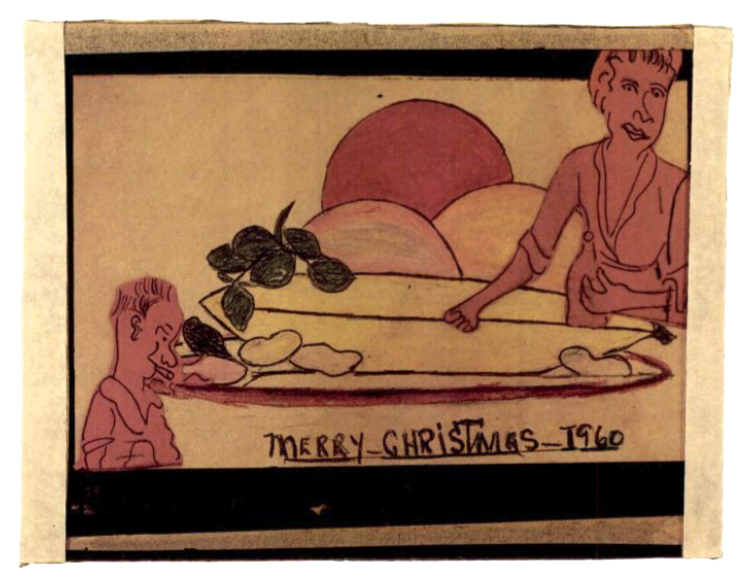 A collage (Merry Christmas 1960) depicts Willis and his wife in the style of a popular comic strip of the day, "Maggie and Jiggs." Willis's penchant for copying and tracing, seen in much of his early work, becomes a modus operandi later. 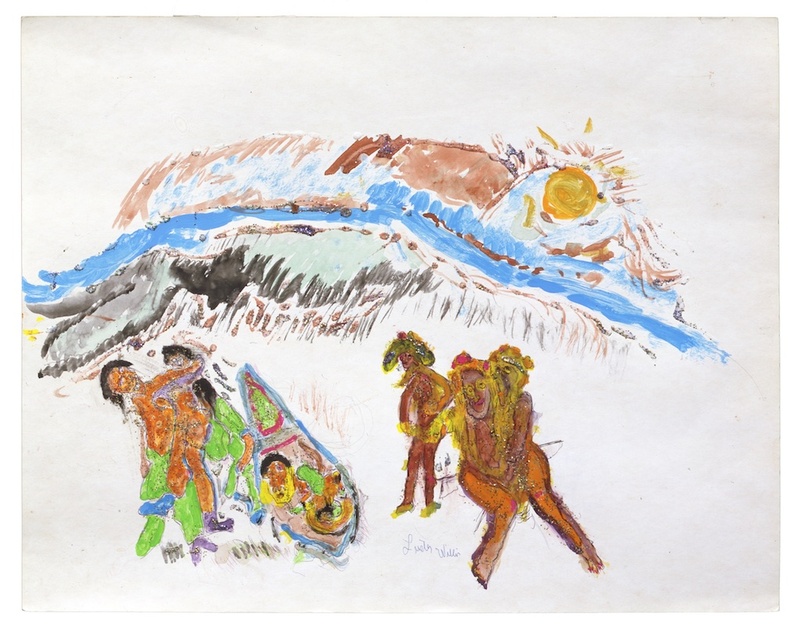 In the early eighties, he started receiving numerous requests for certain of his subjects that had been reproduced in books and exhibition catalogs and seen by collectors. Bored with replicating his own drawings and paintings but needing to fill the orders for economic reasons, Willis developed the idea of Plexiglas templates from which he could trace his stock images. Luster Willis, This Is It. The Big One, n.d. The two most frequently requested subjects were portraits—of the artist himself or of black luminaries—and This Is It. The Big One featuring a fish, which itself was probably originally traced from a photograph of a salmon. 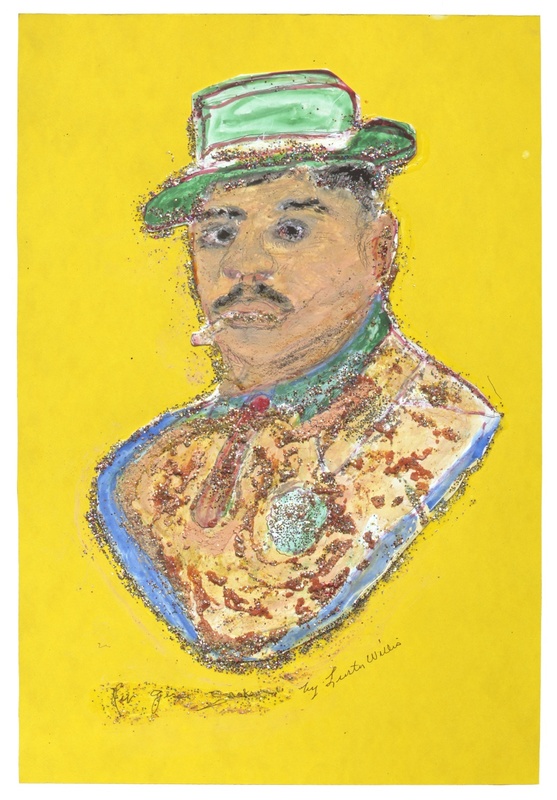 His Two Sides of Myself, a double-sided painting on Plexiglas in which he pictures himself in both serious and clownlike aspects, became the template for many later portraits, including Rev. Jesse Jackson. I was sitting up one night, and I just pictured in my mind a story from the Bible. The one I had in mind was about Lazarus and the rich man. You know that Bible story was in my imagination when the panic was on back in '32. Lots of people were handicapped by not having enough food, not enough nothing. So later I made a painting to demonstrate what that Bible story really meant. I call it "The Rich and The Poor"—I did it a long time ago. . . . It shows a fellow that's been chained down. He wants something to eat and all he can get is a bone. There's also a rich man, one of them big money men, a man that has everything. Instead of having a bone in his mouth, he's smoking a cigar He's burning up his wealth and the poor man has nothing but a bone. The rich man has the power to give or to release, but he's not interested in the poor fellow down on his knees with nothing . . . all he can do is hold a bone in his mouth. He doesn't even have any meat, just a bone. The bone is rotten, it's not fit to be eaten, except by a fly . . . yet that's his way of life. He's like an animal because of lack of opportunity. He desires a better way of life, he desires something, but the rich man isn't much interested in giving anything up. He doesn't even have a smile on his face—all he's interested in is his big cigar. Willis repeated this theme in 1986 in Rich Man, Poor Man. The incisive characterization of the two men is clearly indicative of the artist's grounding in portraiture. Even if not actual portraits, these renditions draw on people the artist knew. His ability to capture a likeness with economy of line probably results from his experience as a carver of figurative wood canes. The spareness of his work, his reliance on line, and a notable appreciation of space are all characteristic of a sculptor's vision. In a work related to Rich Man, Poor Man, entitled Standing Together, a light-skinned, well-dressed woman looks disdainfully at a darker, simply dressed couple. But all are without shoes. Willis's message: We are the same. All of us need more than we have. We should stand together. In the ironic Tribal People, Willis dismisses the popular myth that groups so designated (Native Americans, Africans) are savage or uncivilized. The "tribal people" upon which the painting focuses form a loving and harmonious family, while a nearby group of "civilized" folk (not identified as, but intended to represent, members of the African American community) engage in a hostile skirmish. A rowboat separating the two groups is a reference to the slave ship that was the original link between them. Perhaps the last fully developed work by Willis (Death Man) deals with one of his favorite themes. The artist spent most of the last decade of his fife in a wheelchair, having suffered a stroke that left him partially paralyzed. The subject of death was never far from his attention. "We all think about death," he noted. "We all going to die. I like to show it coming." In this late work, his Death Man, who strongly resembles Willis's earlier personifications of death as a mummy, a skeleton, or a zombie, walks out of an unspecified structure above which hovers a dark cloud. The figure wears a beret and is dressed like a mercenary soldier. Here, Willis seems to be recalling an image from the past and pressing it into service as a menacing subject for this painting. (It is likely that he observed the Paris Metro during his military service in Europe, and watching people emerge from a subterranean cavern must have impressed the young rural man.) Two pairs of people can be seen outside the building. One pair is fighting, the other caressing. Death, the mercenary soldier figure, turns to the left as he emerges, moving toward the combatants. "Make love, not war" is the message. 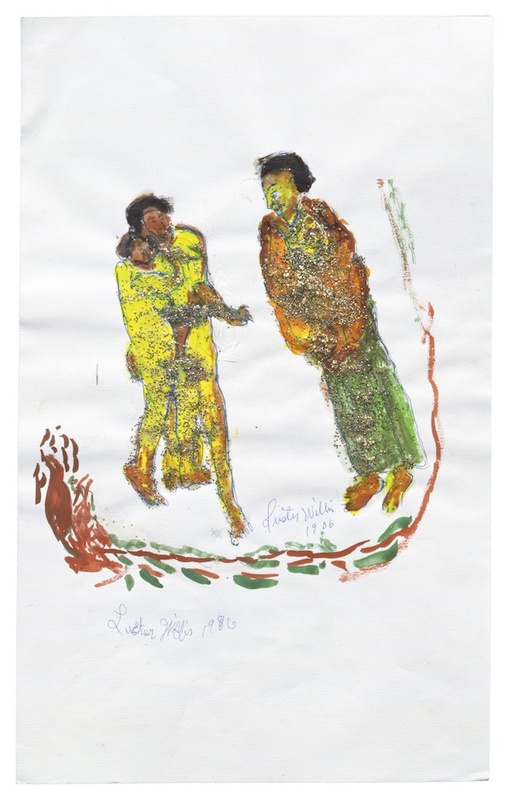 The body of work produced by Luster Willis over his lifetime provides convincing evidence of the change that the freedom movement brought about in the lives of blacks in the South. Positive political and social advancements are obvious, but artistic advancements are equally real and consequential. Willis's work prior to the movement was more conventional: still lifes, portraits, esoteric cartoons. However, from the late sixties on, Willis made strong though subtle statements about racial inequality and the converse, the absurd prejudices among blacks against other blacks. Willis's subtlety was more a function of his sense of humor than of a fear of consequences. 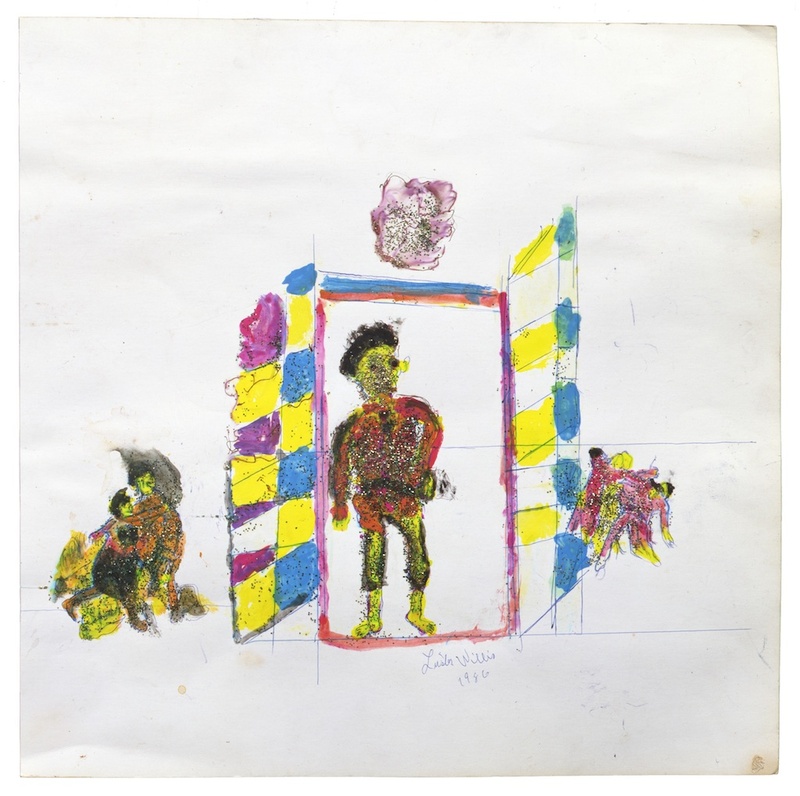 His work is in many ways the forerunner of the potent and bold social outcries of later artists such as Thornton Dial, Joe Light, Purvis Young, and Lonnie Holley. The quotations in this article derive from conversations with William Arnett that took place in 1986, 1987, and 1988.